Android might be the most popular smartphone OS right now, but still, only about 2% phones are running on the Android Oreo which was launched last year. It is worth mentioning that the launch of Android P is just around the corner as the first developer preview was launched last month. One of the main reason why we don’t see latest Android version on a lot of phones is that OEMs like Samsung, LG, etc. add their layer of skin over Android and so, phones from such companies receive updates to latest Android versions very late. In fact, the Galaxy Note 8, which was Samsung’s best phone of last year, got the update recently. Same is the reason why Pixel phones or the phones with Android One branding receive the updates to latest Android versions so fast. There is no custom skin on top, and it’s all pure stock Android. 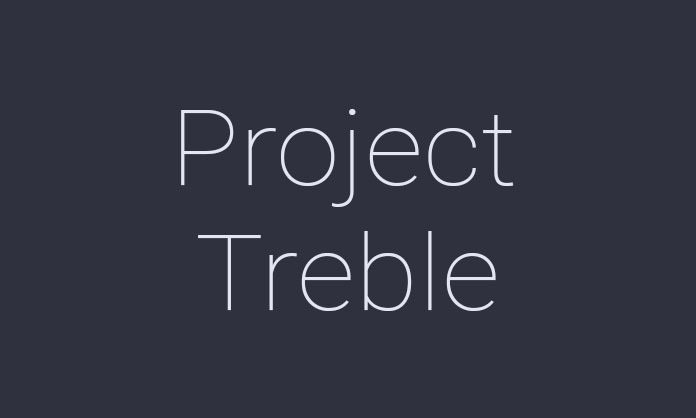 Project Treble separates the vendor implementation (device-specific, lower-level software written by silicon manufacturers) from the Android OS framework via a new vendor interface. In Android 7.x and earlier, no formal vendor interface exists so device makers must update large portions of the Android code to move a device to a newer version of Android. With Treble, a new stable vendor interface provides access to the hardware-specific parts of Android, enabling device makers to deliver new Android releases simply by updating the Android OS framework—without any additional work required from the silicon manufacturers. Note – In case you are wondering why there are no Sony phones as they launched with Oreo, this is the list of phones that are updated to Oreo and then got Treble support.